Ulver made some serious waves with The Assassination of Julius Caesar last year. But overlooked by comparison was their three-track follow up EP, Sic Transit Gloria Mundi. It consisted of two previously unheard Ulver tracks left over from their Caesar jams, and also a cover of the 1984 Frankie Goes to Hollywood hit “Power of Love”. 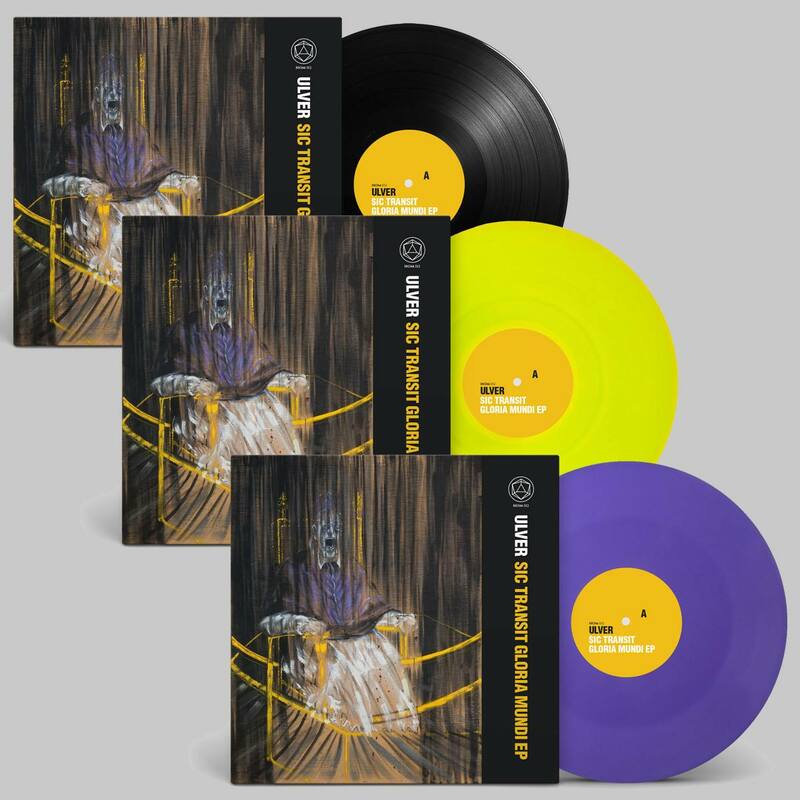 A year following its release, Ulver‘s record label, House of Mythology, have announced the EP’s re-launch in 12″ vinyl form, available in three separate snazzy covers no less. The main perks of siding with this hard copy over digital versions of the EP, is that listeners are treated to four extra live renditions of tracks from The Assassination of Juilius Ceasar, performed at various venues during their last tour. The tracks in question are “Southern Gothic”, “Transverberation”, “Nemoralia”, and “Rolling Stone”. This new release is stated by House of Mythology as being a reward/incentive to those who still buy physical music, and will therefore be an essential item for any avid collector. Three separate colors… Just to remind you. A preliminary taster of their next recorded work? We’ll soon see. For more information on this one-off event, visit the Red Bull Oslo Festival site here. The Sic Transit Gloria Mundi vinyls will be available December 7. To pre-order yours, go to the House of Mythology site for respective purchasing in EU/UK and US format. For all other news and info, check out Ulver‘s Facebook page. Previous PostGama Bomb - "Speed Between the Lines"